The Acanthoceratoidea are a Cretaceous group of usually strongly ribbed ammonites, with a tendency to develop prominent tubercles. [KK08a] Kennedy, W. J., & H. C. Klinger. 2008a. Cretaceous faunas from Zululand and Natal, South Africa. The ammonite subfamily Lyelliceratinae Spath, 1921. African Natural History 4: 57–111. [KK08b] Kennedy, W. J., & H. C. Klinger. 2008b. 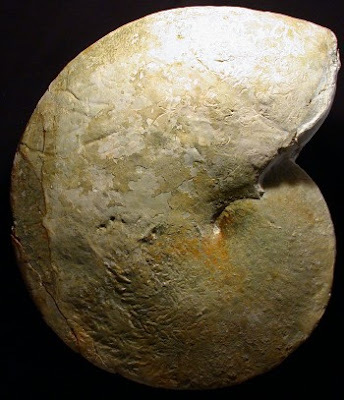 Hypermorphosis in Salaziceras, a Cretaceous ammonite, from Madagascar. African Natural History 4: 113–116. [KK08c] Kennedy, W. J., & H. C. Klinger. 2008c. Cretaceous faunas from Zululand and Natal, South Africa. The ammonite family Forbesiceratidae Wright, 1952. African Natural History 4: 117–130.